Home › democracy › Commons Network selected for Idea Camp on Urban Commons ! Commons Network selected for Idea Camp on Urban Commons ! 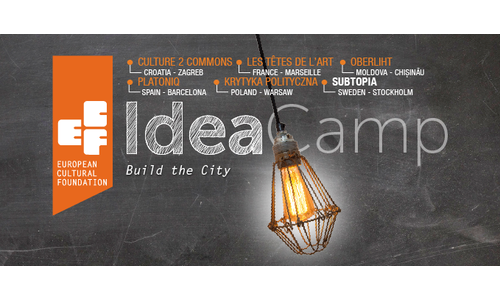 Commons Network has been selected by the European Cultural Foundation for the 3 day Idea Camp ‘Build the City’ on the Urban Commons in Sweden in September 2015. We will have the opportunity to further develop the idea on ‘a set or rules’ for the urban commons: rules and principles to protect and facilitate the flourishing of commons, in their many different appearances, in the city. ”Build the City is about people creating sustainable cities through social cooperation and active participation with culture at its heart. It is about applying the principles and ethics of the commons to the transformation of the city, its communities and its economy.